Spacer bar, antiqued copper, 14x4mm 3-strand beaded rectangle. Sold per pkg of 12. 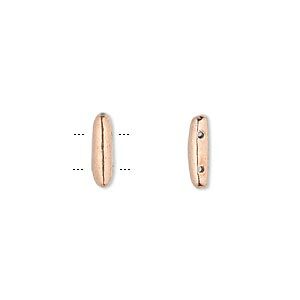 Get the same great-selling sterling silver finding style in economical copper metal with antiqued copper plating. With the rising costs of precious metals, copper is widely becoming a budget-friendly material for jewelry designers. Copper items are re-plated with copper for even greater luster, then antiqued. 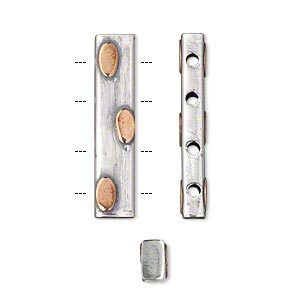 Due to the handcrafted nature of the spacer bars, size, shape and color may vary. Spacer, antiqued copper, 15x6mm 3-strand beaded triple round, fits up to 4mm bead. Sold per pkg of 12. 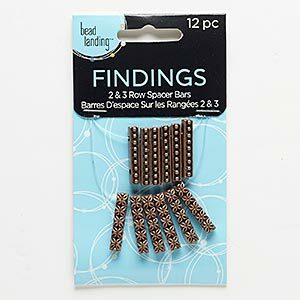 Spacer bar, copper, 17x3mm 3-strand smooth rectangle. Sold per pkg of 12. 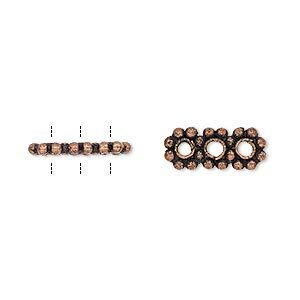 Spacer bar, antiqued copper-finished "pewter" (zinc-based alloy), 23x4mm double-sided 2-strand beaded rectangle and 3-strand rectangle with flower design. Sold per pkg of 12. 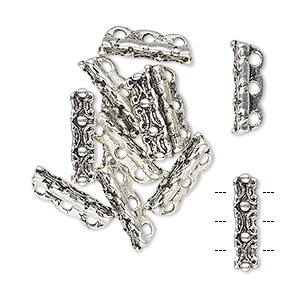 Spacer bead, antiqued sterling silver, 16x6mm 3-strand smooth rectangle with double-sided dots design. Sold individually. 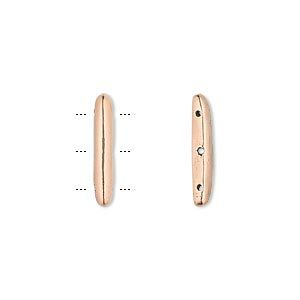 Spacer bar, copper, 11x3mm 2-strand smooth rectangle. Sold per pkg of 20. 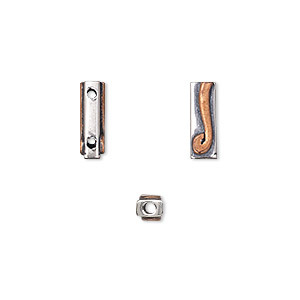 Spacer bead, antiqued sterling silver and copper, 16x6mm 2-strand smooth rectangle with double-sided swirl design. Sold individually. 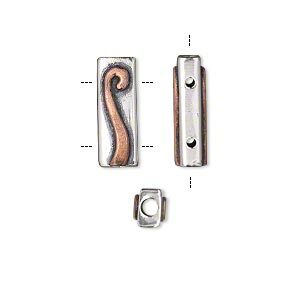 Spacer bead, antiqued sterling silver and copper, 12x4mm 2-strand smooth rectangle with double-sided swirl design. Sold individually. 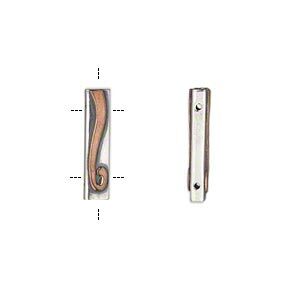 Spacer bead, antiqued sterling silver and copper, 26x6mm 2-strand smooth rectangle with double-sided swirl design. Sold individually. 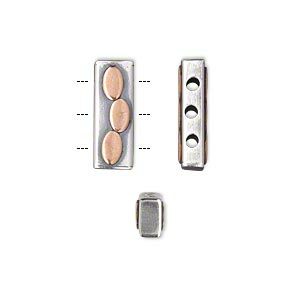 Spacer bead, antiqued sterling silver and copper, 27x6mm 4-strand smooth rectangle with double-sided dots design. Sold individually.